ForeScout Technologies, Inc., a leading provider of continuous monitoring and mitigation solutions for Global 2000 enterprises and government organisations, has named veteran industry executive Pedro Abreu, a former senior vice president at Intel Security Group, as ForeScout’s new chief strategy officer. Announced by new ForeScout CEO Michael DeCesare, Abreu’s appointment strengthens the company’s world-class leadership team and is designed to drive next-stage growth. ForeScout CounterACT™ exemplifies ForeScout’s leadership in continuous monitoring and mitigation. 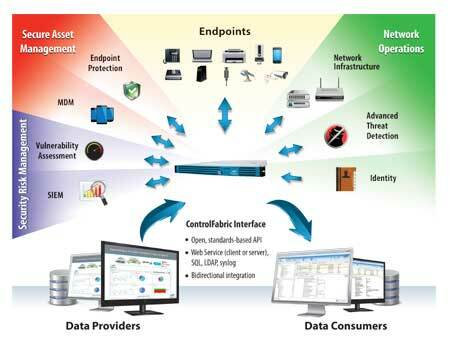 Leveraging next-generation NAC technology, the CounterACT platform provides real-time visibility to users, devices, including BYOD devices, systems and applications and allows IT organisations to centrally apply granular policies to understand their true security posture and to automatically respond to a wide variety of security issues. Powered by ControlFabric™ technology, the platform also enables network, security and management solutions to dynamically exchange information, which, in turn, allows enterprises to respond to issues more effectively and better leverage their existing security investments. During last week ForeScout also announced that it has joined Socitm’s (Society of Information Technology Management) select group of supplier partners as a silver partner. Socitm is the UK’s IT professional body for people involved in the leadership and management of IT and digitally enabled services delivered for public benefit. Via its award-winning CounterACT platform, ForeScout addresses the advanced network security requirements of public sector organisations including Gloucestershire County Council (GCC). For GCC, CounterACT helps the Council to meet thePublic Services Network (PSN) Code of Connectioncompliancy requirements. ForeScout will be on stand G20 at Infosecurity Europe, Olympia, London, which takes place from 2-4 June 2015.